During the working year, there may be times when you need to use an agricultural tractor or need extra tractors to get your work completed on time. If this is the case, then it is well worth considering the benefits of a plant hire Nottingham service that offers agricultural tractor hire. Below we explore the many benefits of hiring agricultural tractors and, why it may be the best option for you. There is so much flexibility when you opt to hire an agricultural tractor. You can choose long-term, or short-term hire, depending upon your needs. You can also choose the type of tractor and what attachments are needed for your particular task. Another major benefit is that you won’t have to incur the costs of any regular maintenance that is required, as this is down to the plant hire company. What this also means is that you will be operating a safe, regulated, and well-maintained piece of farm machinery. When you go down the hiring route you can choose your preferred model, and the very latest equipment, that would otherwise not be an option if you had to buy. 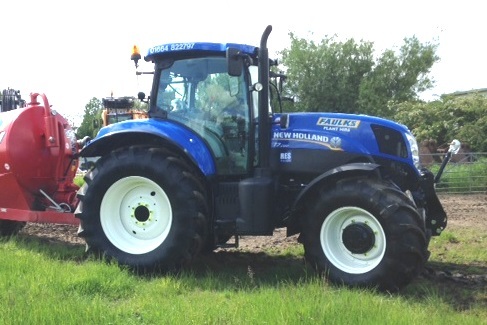 You can get the very latest up-to-date models, allowing you to regularly replace your present model of tractor. Hiring an agricultural tractor can help you to create a healthy cash flow and put you in a good financial position. Over an agreed set period, you will pay several small set amounts, rather than one huge chunk of money. This can help you keep on top of your business finances. Is Agricultural Tractor Hire Right for You? Choosing agricultural tractor hire could be hugely beneficial if you need the flexibility of using different types of tractors and a flexible way to fund the use of such equipment. You also have the added bonus of being able to use the very latest technology at a price you can afford. For more information and a catalogue of available agricultural tractors for hire by AE Faulks, then please do contact us via phone or fill in our online form today.